Strategy Analytics finds consumers like the display and the camera. What's the best smartphone on the market at the moment? It's a highly subjective question, since consumers value different things. But to get a handle on which devices are doing the most to satisfy their customers, the Consumer Sentiment Analysis (CSA) service at Strategy Analytics scanned smartphone reviews posted by U.S. consumers. It found that early adopters have given the Samsung S8, which was introduced in April, an average rating of 4.57 out of 5, making it the highest rated smartphone on the market. The phone boasts new screen dimensions and an artificial intelligence (AI) assistant called Bixby. In the first 40 days the phone was on the market, the study found more than 1,500 buyer reviews. Reviewers specifically commented positively on the Galaxy S8 display. The term "display" appeared in almost one-third of all reviews of the device. Reviewers also had good things to say about the camera. The survey gauged sentiment "very positive" and noted that the camera got a mention in 19% of all reviews. On the other hand, users didn't seem all that impressed with Bixby. The survey found the AI assistant got a mention in only 4% of reviews, and those that mentioned it were marginally negative. 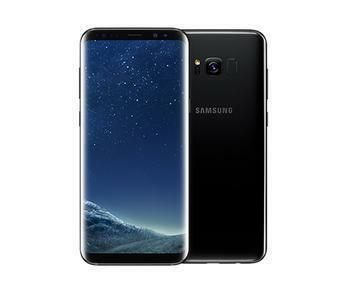 "Based on our analysis of the first 40 days of buyer reviews, Strategy Analytics believes that Samsung's Brand Equity and an impressive new display are the primary reasons that the Galaxy S8 has achieved Apex Product status in the US smartphone market," said Adam Thorwart, lead analyst and author of the report. He also said the phone's display, which is 14% larger than previous models, is a big selling point with early adopters. It would suggest the phone is helping Samsung recover from its disastrous launch last year of the Galaxy Note 7, whose battery tended to overheat and catch fire, requiring a complete product recall. But until that defect emerged, the Note 7 was at the top of Consumer Reports' smartphone rankings. Samsung is preparing the release of the follow-up device, the Galaxy Note 8, which TechRadar calls "the biggest comeback story in phones." Samsung has not revealed a release date but confirmed that it will occur later this year, which could coincide with an expected Autumn release of Apple's iPhone 8. Since this is the 10th anniversary of the original iPhone release, tech sites like CNET expect Apple to pull out all the stops, with major redesigns and features.